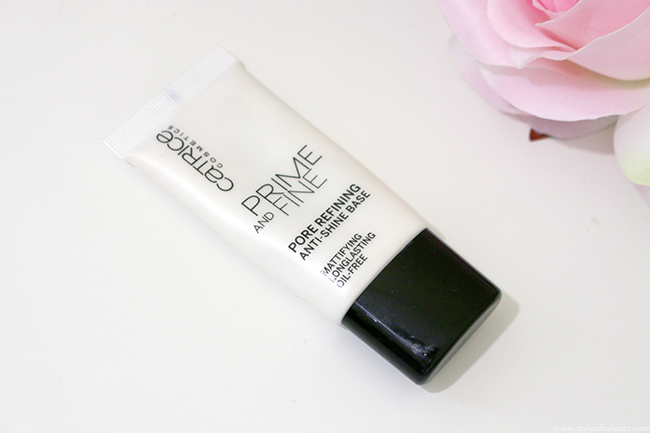 I find that primers are quite important in a routine when the right one is used. I am in search of a drugstore primer which works well for my skin, so I am constantly trying new ones out. A while ago I tried the Catrice Prime and Fine Anti-Red Base and ended up not really liking it, so when I received another primer by Catrice from my friend Luchessa I was really happy to give it a go. I've been using the Catrice Prime and Fine Pore Refining Anti-Shine Base on and off for a while now and am ready to share my thoughts. The product comes in a tube of 30ml which looks very similar to the NYX Pore Filler or the Smashbox Photo Finish Foundation Primer. But the product itself is a white cream formula. It applies really smoothly, absorbs well and doesn't contain any silicones from what I understood in the ingredients. Which I personally quite liked about it. The packaging of the product says it is a pore refining anti-shine base which is mattifying, longlasting and oil-free. It is also supposed to reduce optically the size of pores. Now even though the oil-free aspect may be true, I find that the rest of the product's goals do not apply for oily skin. 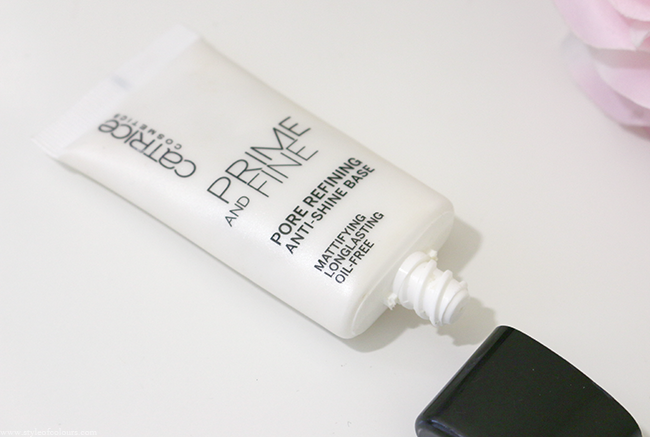 Firstly, when I use this primer, it doesn't feel mattifying at any point nor does it minimize my pores. Secondly, it lasts for about 1-2 hours after which my face is oily and I have to blot/ powder etc to keep the shine away. Personally, this is roughly the amount of time it takes for my face to get oily without any primer whatsoever. So why do I need this product? Honestly, I really don't. I feel like it works more as a moisturizer than a primer for oily skin. 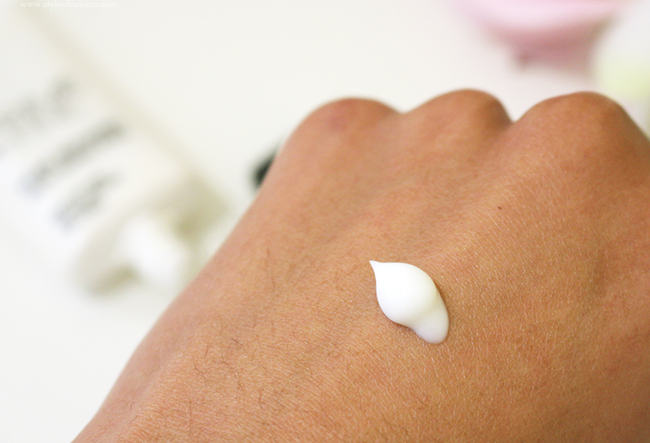 If you have normal or dry skin on the other hand, this product may do the job. Likes - applies smoothly, absorbs well & doesn't contain silicones. 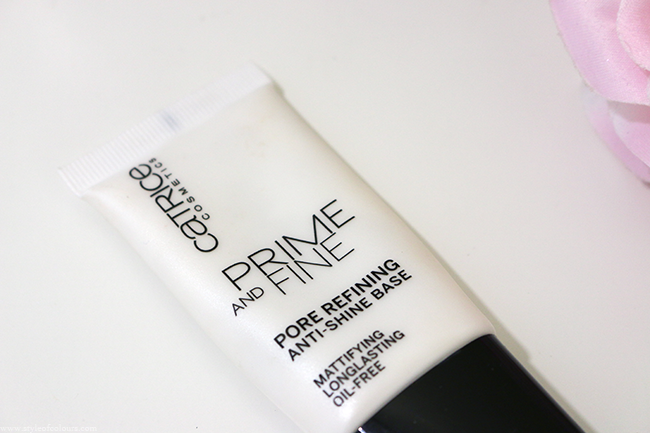 Have you tried the Catrice Prime and Fine Pore Refining Anti-Shine Base? What is your favourite drugstore primer?